Finance Guru Speaks: This article will provide you information on how you can request for stopping your HDFC Cheque payment through NetBanking facility. 2. Once the page is opened, go to Request > Stop Payment of Cheque and you can see the page which will help you to cancel your Cheque payment. 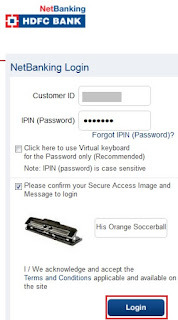 - As seen above, you need to select the Start Cheque Number and End Cheque Number. Suppose you have to cancel payments issued via 3 Cheques: 000121,000122 & 000123, then you can give "Start Cheque Number=000121" and "End Cheque Number = 000123". - Provide the Reason of cancelling the cheque . - Click on Continue button. Stop Payment instruction once given cannot be withdrawn. Thanks a lot. It really helped. God bless you. You saved my time. Wish you all the best for more such useful articles. I lost my cheque book so I dont know the numbers and I suspect some of the cheques were signed as I stay away and cheque book is with my family. No worries. Please visit your nearest HDFC branch as soon as possible. When bank issues any cheque book to a Customer, it knows the series of cheque leaves assigned to a particular customer. 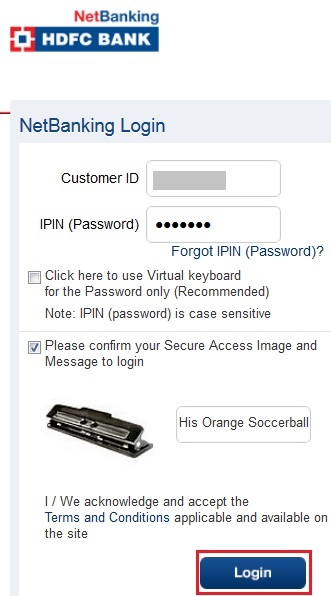 On that basis, you can request for the complete cheque leaves (or cheque book assigned on your name) cancellations. You may need to write a letter to the branch as the cancellation request. very nice and helpful.. keep it up.. Your presentation is simple and easy to understand. Thanks for the useful infomation. Thanks for your kind words. Keep visiting the blog and share the articles on Social media. Thanks for visiting this blog. I will explain the answer with an example for better clarity. Suppose you gave your HDFC bank account Cheque to Axis bank account holder. Now, Axis Bank AC holder will deposit the cheque in his/her Axis bank. Once the cheque is deposited in Axis, it will be presented to HDFC Bank through the Cheque clearing mechanism. So, if you already requested for Stop Cheque Payment in HDFC, then HDFC will not process the Chqeue Payment Request to Axis Bank. I am facing really worst experience with HDFC. My account was salary account since i changed my office salary was not credited in that account. Inspite of it i was maintaining more than 15 thousand 2 months ago. Without proper intimation my salary account got switched into savings account . Now i have got a text from hdfc which says dey charged me 1653 for non maintainence of account. When i was maintaining i dint even get a single buck that is not my problem. But for 3 months how u people can charge me 1653. To enquire about this i have called hell number of time to the customer care but i have not got connected to the executive . I want a immediete solution. Select "Products/Services" as "Savings Account", "Query related to" as "Charges" and "Type of query" as "What are ..."
I have stopped payment. I want to go to HDFC branch and ask give back the cheque. Will they give back to me. To whom you have issued the Cheque and why would you need it back once the Stop Payment is executed against that Cheque? It is not required. Thank you dear Reader! Keep visiting & sharing articles. Great article. Helped a lot and saved time. However, is there any confirmation of the payment being stopped. It's just I want to know for sure that the cheque was sent for encashment and was turned down. Please let me know if there is a way. Thank you. Thanks for visiting this blog. 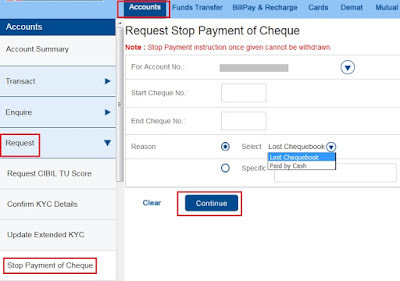 Once you initiate the Stop Payment request, it gets active in the bank system and stops the cheque payment. You can call Customer Care or visit your branch, incase you need to confirm about the payment being stopped. Thank you Gaurav. Keep reading & sharing the articles. Thank you Khaja for your kind words. Please help to share this site on social media. Keep reading and visiting. Can i undo the stop chekc payment ? As per our understanding, once the stop cheque payment request is triggered you cannot revert it. Best thing is to call Bank Customer Care and put forward your request. You need to check with Bank's Customer Care or your branch. By mistake I signed a different formats on my cheque,so can I cancel that cheque too. Yes, you can. Select appropriate reason while doing so. Keep visiting and sharing this blog articles. I need you help-suggestions! I have given 2 post dated cheque to my carpenter to finish my house woodwork but he has not done any progress hence I want to stop the payment. Can I stop my payment with out having any legal offenses because I have not seen any alternate option. Thanks a lot man. It helped me to stop the cheque.